Available in 3 sizes, 95mm, 125mm and 145mm high. 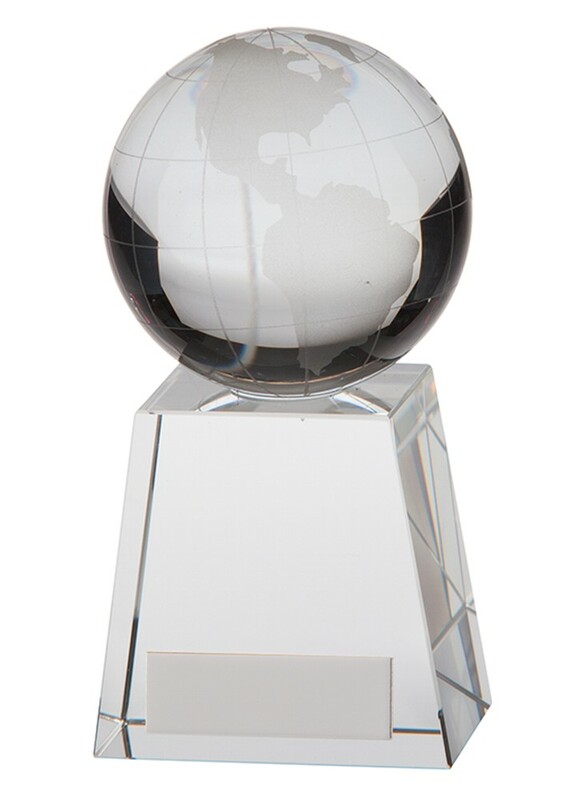 Solid 3D crystal globe on a crystal column base. Supplied in a presentation box.